I say it all the time but I really don’t know what it means. It’s basically a sales strategy or a selling point meant to guilt someone into helping. It’s a preemptive statement taken to prepare for the gossip if you are unwilling to help someone, right quick. If you ask someone to help you right quick, and they don’t, you can tell everyone that you were only asking for a small favor. But, in reality, you were potentially asking for the next eight years of their life. 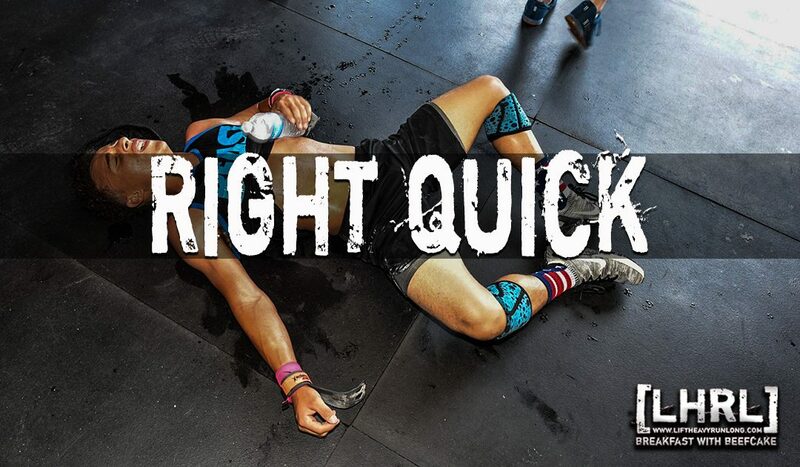 Is “right quick” strictly a southern term or does everyone use it? I believe that “right quick” is a unit of time somewhere between eight seconds and eight years. If I need you to help me with something, right quick, it means that I need to get you committed so that I can further manipulate you into staying longer and helping me until the task is complete. Right quick is the leading strategy to get people to board time-share cruises and listen to Amway presentations. “We want to give you this fantastic vacation but we want to show you these condos right quick.”….4-hours later, you are still trapped on a bus that smells like stale pina coladas and yesterday’s sunscreen. I had an old lawnmower that my buddy needed to borrow “right quick”… that was three years ago. I have had dozens of friends who needed to “borrow my trailer “right quick”…to move two-thousand square feet of furniture across the city, over the course of the next three days (and they needed me to drive it). I have enticed plenty of friends to pick me up to go play ball and when they got there, I surprised them by asking if they could help me mow the yard, right quick. “Yes, I will give you a ride to pick up your car but I need to run an errand or two right quick.” That can be an all-day affair. “I just gotta run to Home Depot, grab a few light bulbs, and replace the old ones right quick.” Six hours later, you are ripping out sheetrock and laying tile in your friend’s home. “I just need you to help me replace my thermostat right quick.” Sixteen hours later, the transmission is on a jack, both the valve covers are being replaced, and the alternator is on the floor with two screws missing. Finally, “Hold my beer right quick.” Whatever happens next is anybody’s guess but it’s probably not going to end well and he won’t be coming back to get his beer anytime soon. Down here, nothing gets done “right quick” but everyone is willing to help. If you ever need a favor, someone is willing to help. If it can’t be done right quick, it won’t take but a jiffy.